College tuition has more than doubled in the past 30 years and has outpaced inflation by 2 to 4 percent, according to a report from the American Action Forum. The report calls into question colleges’ claims that reduced state funding and enrollment growth are responsible for increased tuition rates. "What’s unclear is if these arguments alone can account for more than three decades of tuition hikes," the report states. "In particular, budget cuts to higher education are a relatively recent development, as state and federal funding showed steady growth prior to the 2009 recession." According to the report, every state has increased state tuition rates and on average the net price for college has grown by more than $6,000. Two economics professors from the University of Missouri and Indiana University developed an economic model to evaluate whether federal financial aid policies, labor market trends, and other changes to college funding sources have any effect on the rise in college tuition costs. Their research found that increased student borrowing through the federal student loan program explains more than 50 percent of the rise in tuition, generous grant aid contributes to more than 20 percent to the rise in tuition, and pressure on enrollment contributes to nearly 20 percent of the increase in tuition. Expansions in federal student loan programs have driven the cost of tuition up the furthest in Vermont and Washington, D.C., which have witnessed tuition increases of more than $7,000. On average across the nation, tuition costs rose by $3,355 because of federal student loan programs. New Mexico saw the lowest tuition increases of $973 due to these programs. "Financial assistance itself may be the problem—more expansive loan programs and more generous grants combine to explain over 70 percent of recent tuition inflation," the report states. 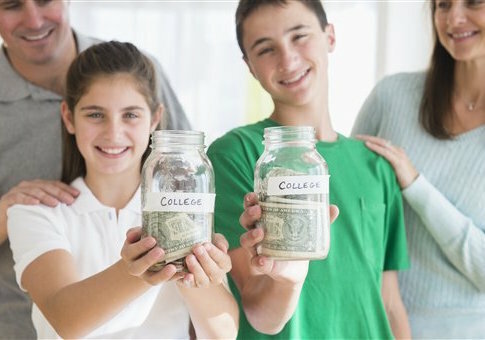 "Couple the skyrocketing cost of college and the level of debt students incur along the way with evidence of federal financial aid acting as a key factor in driving up the net price, and it’s easy to come to the logical conclusion that restrictions need to be placed on taxpayer funded financial aid." According to the Department of Education, attaining a college degree or other postsecondary credential has never been more expensive. "Colleges have not focused on keeping costs down, and tuition has spiraled out of control," the department says. "Meanwhile, states have slashed their investments in higher education, and Congress has failed to protect the purchasing power of Pell Grants over the decades. Consequently, college costs for hardworking students and families have grown dramatically, with wages failing to keep up." "Since taking office in 2009, the Obama administration has taken strong action to counteract the rising cost of higher education, expanding Pell Grants and making student debt more manageable by expanding loan repayment options that cap payments based on income," the department said.